With Win a Home’s Grand Finale just days away, anticipation is at an all-time high. Whose life will change forever by becoming South Africa’s next multi-million Rand home owner? 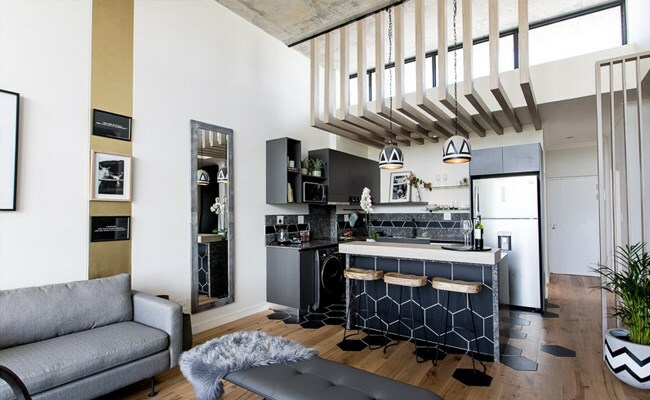 The Win a Home Grand Prize winner will be given the incredible choice of which of the three spectacular apartments, as completed by the three Design Duos, they would like to call their own. The winner will have the opportunity to walk through all three apartments individually before making their choice, which doesn’t necessarily need to be designed by the Duo they voted for. Each space is fully decorated with cutting-edge appliances from Samsung, furniture and homeware from Weylandts, luxury beds from Vencasa, paint by Duram, cabinetry by Cosi Home, original Oggie Hardwood Flooring and signature quartz surfaces from Caesarstone. Will it be Team Contrast Control’s quirky and eccentric space they designed for SA Home Owner magazine? Their creative use of colour, bold style choices and ‘Afro-licious’ aesthetics may definitely be what this year’s winner desires. If the winner is looking for glamorous sophistication then Team R&K will definitely tick all the right boxes. Their apartment, which they designed for VISI magazine, features high-end finishes, vintage inspired collaborations and bespoke art pieces. 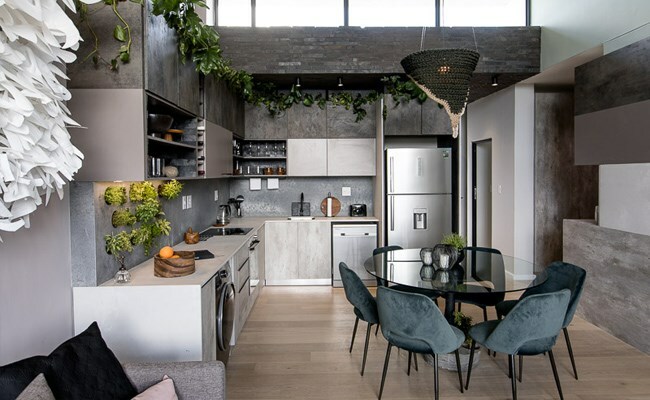 Or if a more minimalistic and natural design aesthetic is favoured then The Perma Peeps’ spectacular apartment, designed for REAL | Life magazine, might be more their style. With clean lines and a strong focus on permaculture practices, it may just be exactly what the winner is looking for! The penultimate episode saw the Duos putting the final touches on their spaces before this season’s judges, Chief Marketing Officer of Private Property Bryan Courtney, Kabu Design Architects Director Buhle Mathole and Balwin Foundation Director Slade Brookes spent the night in each of the apartments to get a feel of how the Duos design choices function practically and to make their final decision on who this year’s winning Design Duo should be. Plus stepping in as a special guest judge was Season 1 design winner and Win a Home Season 4 judge, Donald Nxumalo, who added his voice to panel. The judges’ final decision will be revealed in the Win a Home live Grand Finale taking place on Thursday 13 December at 7:30pm on SABC3. During this nail-biting live show the winning Design Duo will receive a R100 000 cash prize! In addition, the Duo who has received the most viewer votes this season will win R20 000! Dreams will be realised, lives will be changed and you can be part of it all as South Africa’s premier design reality show comes to its highly anticipated finale! 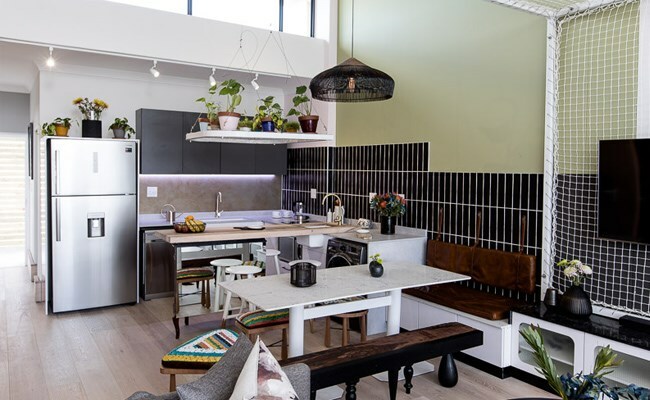 Meet this season’s amazing Design Duos and get to see the estate in Somerset West where they will be transforming three white-box penthouse apartments into designer homes. It’s the big kitchen reveal! With delicious design, budget battles and spicy commentary from the judges, it’s a recipe for drama and excitement. Your house has the potential to jump in value if you’re willing to make a few simple improvements.